This volume consists of contributions based on a series of lectures delivered at the Fifth Winter School on Mathematical Theory in Fluid Mechanics, held in Paseky nad Jizerou, Czech Republic. 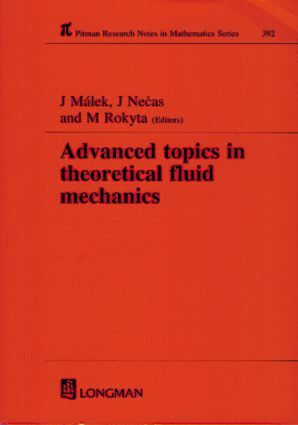 The contributions are written by the main lecturers of the school and cover several significant topics in the field of theoretical fluid mechanics. Specifically, Professor Bardos presents mathematical studies of various evolutionary models of fluids that capture the motions of gases and liquids on different scales, from molecules and rarefied gases, to fluids and gases at the continuum level, and finally to fluids in turbulent regimes. In addition to discussing the mathematical analysis of particular systems on their own, Professor Bardos devotes a great deal of attention to the passage from one scale to another. Professor Dafermos provides an introduction to the foundation of classical continuum physics, built on a precise and general mathematical basis that enables one to present arguments in a very transparent way. Professor Novotn*y systematically investigates the properties of the steady-state transport equations, with emphasis on flows in exterior domains. Finally, Professor Solonnikov illustrates his approach to the non-simple analysis of free boundary problems in fluid mechanics using three model examples for the steady-state Navier-Stokes equations.